Everything 3D: I Started Selling Models on Turbosquid! So the title says it all. I decided to dust off some of my old models, get them all cleaned up, do some renders for the thumbnails, and start selling them on Turbosquid. 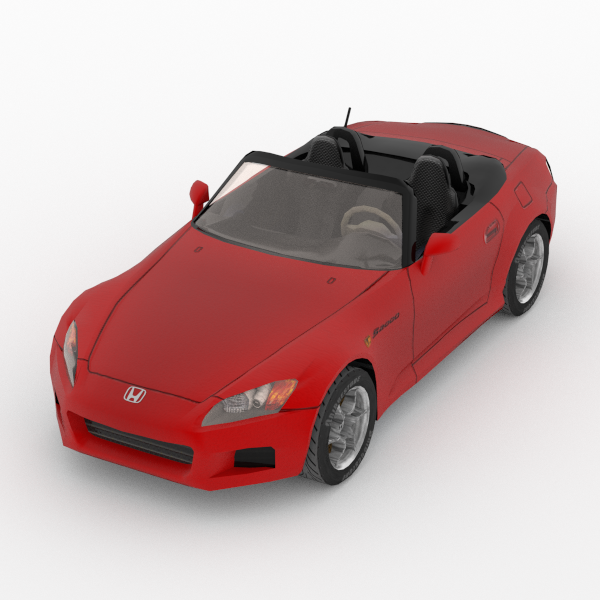 So far I only uploaded one file, an old sports car I modeled for this Mac racing game, Redline. 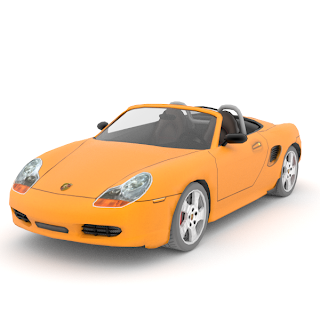 Because I am using the word "Porsche" for my model (it's a Boxster,) Turbosquid decided to put my submission up for review. 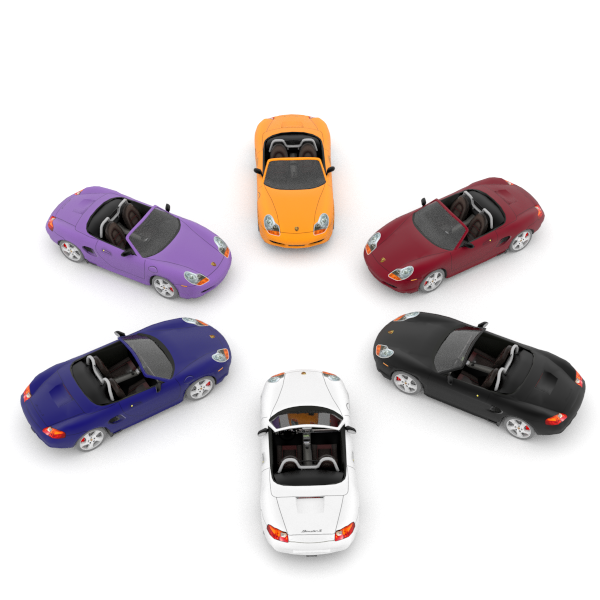 Once it passes that review, the model is made available for purchase. Fingers crossed! One of the things I like the best about Turbosquid so far is that they seem very well organized. Model sellers have a dashboard where they see all the models they have updated, their status, and the sales. It seems that once you start selling, your own status as a seller changes as well, and you get colored diamonds, Makes it seem like a game :). Here is one of the renders I submitted for a thumbnail. The model itself is low-rez, with somewhere between 4K and 5K polygons, which is optimal for that game in question.